UnREAL, a dramatization of the behind-the-scenes machinations of a Bachelor-like reality show, had a stellar, Peabody Award-winning first season—and has been trying to get that mojo back ever since. After a decidedly conflicted season two, and a better, but not much better season three, The Hollywood Reporter announced today that season four will likely be the series’ last, with the episode order topping off at eight instead of the series’ usual 10. Plot-wise, season four also boasts the unusual move of placing troubled UnREAL producer Rachel (Shiri Appleby) into the role of the series’ “Suitress,” now blonde and manipulating contestants in front of the camera for once. 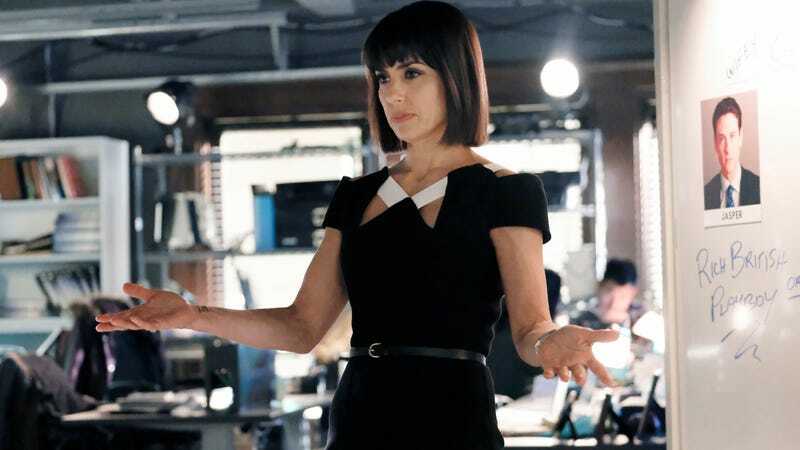 Even Quinn (Constance Zimmer) looks concerned, but it’s an intriguing enough twist that it might pull in some lapsed UnREAL fans for this probable final season.